The Helston Railway is a heritage railway in Cornwall which aims to rebuild and preserve as much as possible of the former GWR Helston Railway between Nancegollen and Water-Ma-Trout on the outskirts of Helston. It is operated by the Helston Railway Preservation Company using members of the Helston Railway Preservation Society. The Railway was a 8.5 miles (13.7 km) long 4 ft 8 1⁄2 in (1,435 mm) standard gauge railway branch line and is the southernmost branch line in the United Kingdom. It opened in 1887 and was absorbed by the Great Western Railway in 1898, continuing in existence as the Helston branch, and closing to passengers in 1962 and to goods in 1964. It was built to open up the agricultural district of south-west Cornwall, joining Helston to the main line railway network at Gwinear Road, between Penzance and Truro. Its predominant business was agricultural, but in summer it carried holidaymakers, and its terminus at Helston was the railhead for a pioneering road connection service to the Lizard. During the Second World War there was considerable goods traffic at Nancegollan, sponsored by the Admiralty. 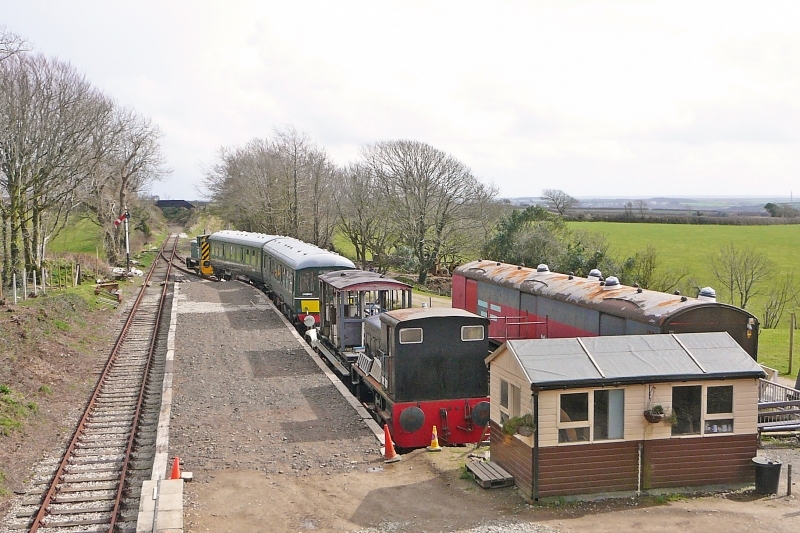 Please give us your overall rating for Helston Railway.